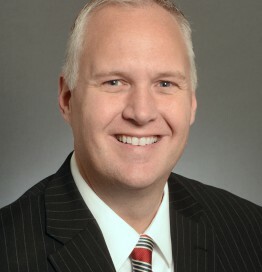 Paul Anderson is a first-term member of the Minnesota State Senate, representing Senate District 44, which includes the communities of Plymouth, Minnetonka, and Woodland. Anderson is the Vice-Chairman of the Jobs and Economic Growth Finance and Policy Committee, and serves on the E12 Finance, E12 Policy, Higher Education Finance and Policy, and Taxes Committees. His priorities in the Senate include economic and workforce development, innovation, taxes, and education. Anderson has served in executive positions in business, government, politics, and the non-profit sector, and currently is the founder and owner of The Anderson Group. His past experience includes serving as the Director of Business Development for Silicon Valley startup Touchpoint.io, President and CEO for the national charity Tee it up for the Troops, Deputy Chief of Staff for Minnesota Governor Tim Pawlenty, State Director for U.S. Congressman Jim Ramstad, and co-owner of O.L.A. Enterprises. Anderson graduated from Concordia College in Moorhead, Minnesota, and was a policy fellow at the Hubert H. Humphrey Institute at the University of Minnesota. Anderson resides in Plymouth, Minnesota, with his wife and two daughters.